This is a well established and common cardiac investigation that has been in use for several decades and is used primarily in the evaluation of ischaemic heart disease. It is also known as Treadmill Exercise Stress Test. However, it is also conducted in the evaluation of a number of other cardiac problems. How can I prepare for my Exercise Stress Test? If you are suffering any chest pain or breathing difficulty, please notify the nurse in advance. 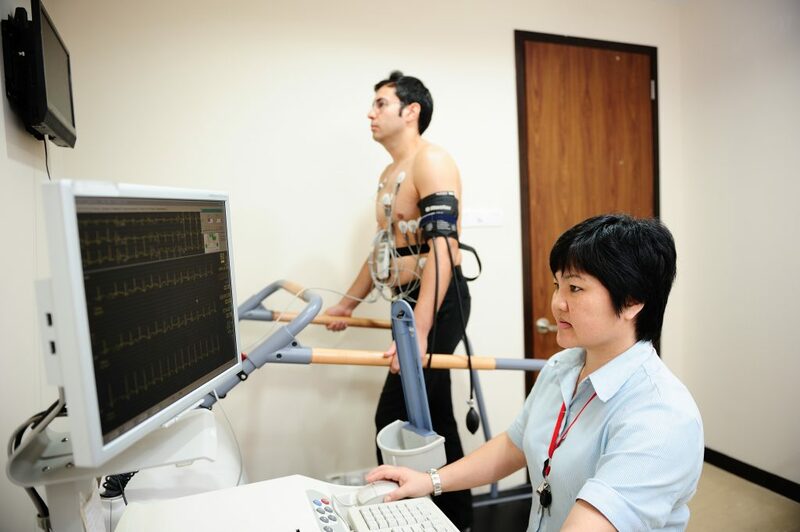 *The treadmill ECG test can be combined with a scan (echocardiography) i.e., stress echocardiography to improve the sensitivity of the test to 85 percent and specificity to 77 percent. How long is the Exercise Stress Test? Who should avoid Exercise Stress Test? In persons who cannot perform the test owing to physical disadvantages (e.g. Arthritis, lung disease, poor physical conditioning) or unable to achieve the target heart rate, a pharmacological stress test may be used instead. In this case, instead of doing physical exercise to ‘stress’ the heart, medications are injected to ‘stress’ the heart. What does it mean if my test Is positive? A positive result suggests the possibility of coronary artery disease (CAD). Your physician will interpret this test whilst taking into account the pre-test probability of disease. If there is a strong suspicion, more definitive tests eg. Coronary angiography may be advised. Does a negative test mean that I am free from any heart disease? Stress ECG test estimates the probability of disease. The specificity of this test (ie. likelihood of a negative test when one is truly free of disease) is about 70-80%. Therefore, a negative test does not rule out heart disease completely. Again, the interpretation of this test depends on your baseline probability of disease. As mentioned, this test detects only severe coronary artery obstructions (>70%). As we know today, most heart attacks occur not from the severe narrowings but the mild to moderate ones. Hence, although it is a good test to screen for presence of CAD, there are limitations and it is never definitive. Measurement of carotid intima-media thickness (CIMT) in the carotid artery with an ultrasound is a non-invasive, sensitive, and reproducible technique for identifying and quantifying subclinical vascular disease and for evaluating Cardiovascular Disease (CVD) risk – heart attacks and strokes and also to predict future cardiovascular disease (heart attacks and strokes) risk. Who Is to do the CIMT (Measuring Cimt & Identifying Carotid Plaques)? Women younger than 60 years old with at least two coronary heart disease risk factors. If the level of aggressiveness of therapy is uncertain and additional information about the burden of subclinical vascular disease or future coronary heart disease (heart attacks and strokes) risk is needed. Reclassify patients at intermediate risk, discriminate between patients with and without prevalent coronary heart disease, and predict major adverse coronary heart disease (heart attacks and strokes) events. Male above 35 years old and post menopausal women. Family history of heart attacks and stroke. Peripheral Arterial Disease (PAD) – narrowing or blockages of arteries in the legs. Atherosclerotic vascular disease begins in childhood and progresses over decades. Symptomatic, clinical cardiovascular disease (CVD) events generally occur when atherosclerosis progresses to flow limiting disease that causes ischemia, or when a thrombus forms on an existing plaque as a result of rupture or erosion. Although not everyone with underlying atherosclerotic plaque will experience a clinical CVD event, the greater the degree of subclinical atherosclerosis, the greater the risk for future cardiovascular events. To prevent death and morbidity from CVD, there is great interest in identifying asymptomatic patients at high risk who would be candidates for more intensive, evidence-based medical interventions that reduce CVD risk. How are we going to identify atherosclerotic changes in the arteries? Imaging of carotid arteries using CIMT study to identify and quantify thepresence of subclinical vascular disease has been suggested to further refine CVD risk assessment. 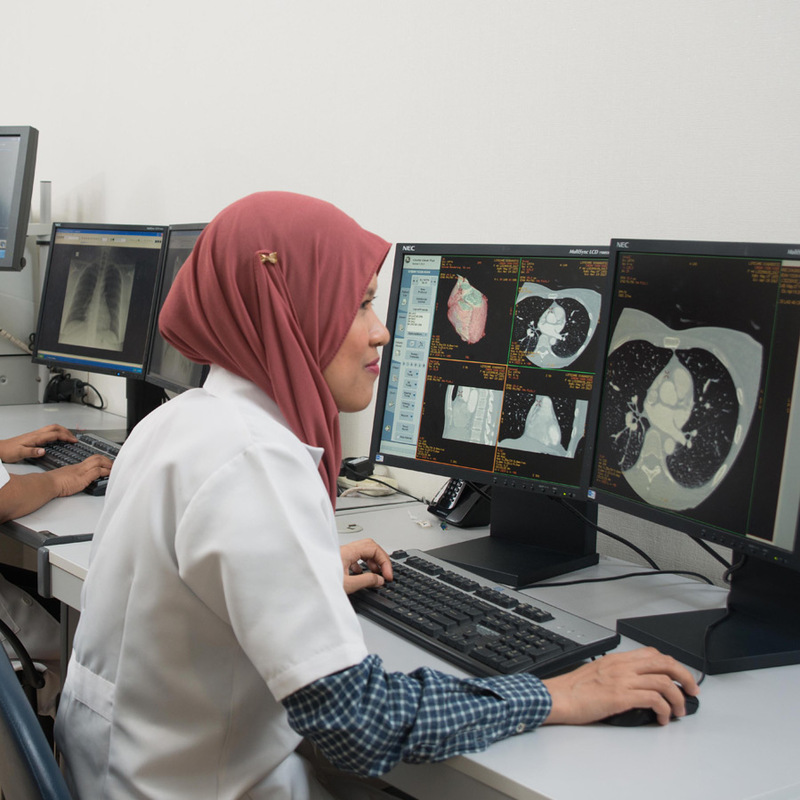 As a screening test, imaging must be safe, be sensitive, be affordable, and lead to interventions that can favourably alter the natural history of CVD. Measurement of carotid intima-media thickness (CIMT) with B-mode ultrasound is a non-invasive, sensitive and reproducible technique for identifying and quantifying atherosclerotic burden and CVD risk. CIMT is a well-validated research tool that has been translated increasingly into clinical practice. In 2000, the American Heart Association Prevention Conference V concluded that CIMT “can now be considered for further clarification of coronary heart disease (CHD) risk assessment at the request of a physician,” provided that it is performed by an experienced laboratory. This is a common non-invasive investigation tool for heart conditions. It applies ultrasound waves to generate images of structures of the heart. It allows a real-time visualization of the heart and the large blood vessels connected to it. 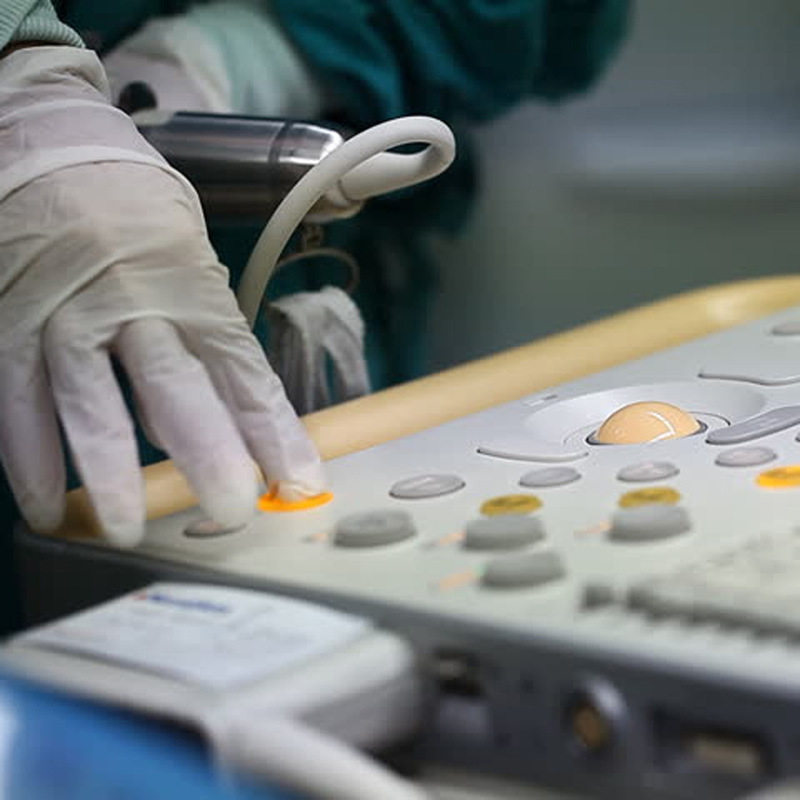 With the use of Doppler ultrasound technology, we are also able to interrogate the function of heart valves, derive blood pressures of different cardiac chambers and assess functions of the heart. How do I prepare for an Echocardiography examination? There is no special preparation needed for this painless, non-invasive procedure. Clothing from the upper body is removed and covered by a gown or sheet to keep you comfortable and maintain the privacy of females. The patient then lies on an examination table. How is an Echocardiography examination done? ECG electrodes are attached to the body to allow timing of the cardiac events to the ECG cycle. A transducer (a probe that transmits and receives ultrasonic waves) is placed over the chest or region of interest. A colourless gel is applied on the probe before scanning to improve the image quality. The echo technologist or cardiologist would acquire images from different parts of the chest to obtain views from different angulations. You may be advised to assume certain body positions for better imaging of the different cardiac or non-cardiac structures. How long does an Echocardiography examination take? An evaluation of a normal heart generally takes about 10-15 minutes. However, more detailed interrogation of abnormal findings may take a bit longer. What information can I obtain from an Echocardiography examination? Calcium is a marker of coronary artery disease, the amount of calcium detected on a cardiac CT scan is a helpful diagnostic tool. The findings on cardiac CT are expressed as a calcium score. Another name for this test is coronary artery Calcium Scoring. 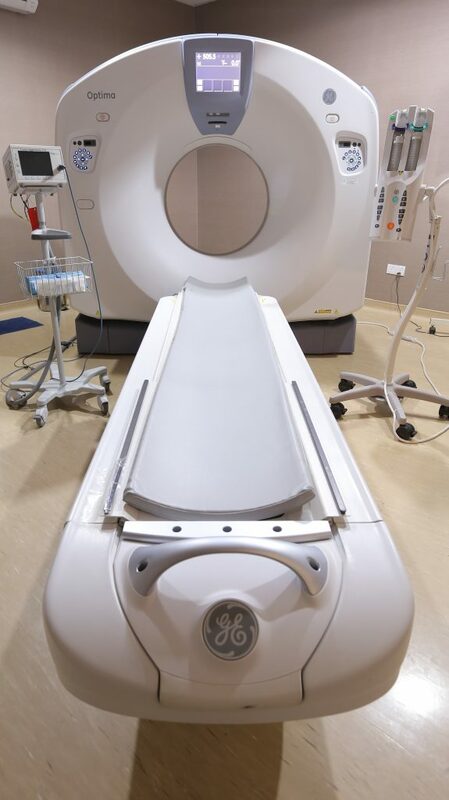 CT Scanning is a noninvasive, painless medical test that helps physicians diagnose and treat medical conditions. A Cardiac CT Scan is a non-invasive way of obtaining information about the location and extent of calcified plaque in the coronary arteries – the vessels that supply oxygen-containing blood to the heart wall. No special preparation is necessary in advance of a cardiac computed tomography (CT) examination. You may continue to take your usual medications, but should avoid caffeine and smoking for four hours before the exam. If your heart rate is 90 beats a minute or higher, you may be given a drug to slow the rate in order to obtain accurate CT images. CT Angiography is a safe outpatient procedure that uses specially designed x-rays and intravenous contrast to see the detailed anatomy of the blood vessels throughout the body. It is most frequently utilized in the evaluation of arteries in the head, neck, chest, abdomen and legs. Coronary CT angiography refers to the scanning procedure of the arteries of the heart i.e. those involved in ischaemic heart disease like heart attacks. How safe is Coronary CT Angiography scan? There are certainly radiation issues with this modality. The effective dose is almost similar to that of an invasive cardiac catheterization (5-8 mSv). Contrast use would entail the risk of allergic reaction in a small proportion of the population. Therefore, not all persons would benefit from this test. Please discuss with your doctor the proper indications and the risk-benefit analysis of performing such a scan. Who should have a Coronary CT Angiography scan? Coronary CT Angiography is ordered by your physician if there is a need to establish the presence of significant coronary artery disease. It may be indicated if initial cardiac screening tests e.g. Stress ECG tests or nuclear cardiac scans are abnormal. It is also used for the follow-up of patients after coronary angioplasty and stenting, post coronary bypass grafting surgery. How is the Coronary CT Angiography done? Intravenous access need to be obtained. You will be asked to lie down on the CT scanning table. Breath-holding instructions will be given. Often the whole heart can be imaged within 5 heart beats. Contrast injection is necessary and sometimes, you may need a medication to slow down the heart rate. Following image acquisition, our radiographer and doctor will process and report on the images. The results will be discussed with you. How can I prepare for a Coronary CT Angiography scan? You need only to fast for about 4 hours before the scan. Please refrain from caffeinated drinks e.g. coffee or tea on the day of examination. How long does a Coronary CT Angiography Scan take? Although the actual heart scanning takes only 5-8 seconds, the whole scanning procedure may take about 15-20 minutes from preparation to completion. You would be able to leave immediately after the procedure and would be able to resume with normal activities. How good is a Coronary CT Angiography? The most advanced multi-detector CT today is a 128-detector row scanner. By using very fast gantry rotation speed and large volume detector coverage, we are able to obtain detailed visualization of the coronary tree. This is a very promising new technology. The latest data are reporting excellent results. A recent study, presented in March 2005 at the annual meeting of the American College of Cardiology, compared the capacity of 128-slice cardiac CT versus coronary angiography to detect significant coronary artery stenosis (defined as more than 50 percent lumen diameter reduction). 30 patients with stable angina or acute coronary syndrome were enrolled in the study; individuals unable to hold their breath for less than 15 seconds were excluded from the study. The heart was scanned following intravenous injection of contrast material and analyzed by two observers who were not aware of the results obtained from invasive angiography. Most patients received a beta blocker before the study, and all coronary arteries were compared between coronary CT and selective angiography. Compared with selective angiography, 128-channel cardiac CT showed a sensitivity of 96 percent and specificity of 89 percent when detecting significant stenosis (narrowing). The authors concluded that 128-channel cardiac CT could reliably detect significant coronary stenoses in patients with stable angina or acute coronary syndrome (Source : Mollet, et. al., presentation #1054-83, ACC ‘05). A more recent analysis (Hoffman et al., JAMA 2005; 293:2471-2478) showed a MDCT sensitivity of 95% and specificity of 98%. Is Coronary CT Angiography an alternative to Catheter Angiography? Cardiac catheterization remains the gold standard for diagnosing coronary artery disease. However, the setback with this approach lies in the fact that it is invasive, requires longer hospital stay and has its complications, e.g., bleeding, pain and it costs more. Compared to Catheter Angiography, CT Angiography is a less invasive and a more patient-friendly procedure. Although contrast is injected through an artery in Catheter Angiography, CT Angiography contrast is injected into a vein which is technically less difficult and has a very low risk of complication. As a result, the patients typically leave immediately following the procedure and can resume normal activities. Cardiac CT also offers the advantage of being able to visualise the atherosclerotic plaque composition. Cardiac catheterization only opacifies the arterial lumen. What does it mean if my scan is positive or equivocal? Your scan would be able to tell if there is atherosclerotic narrowing of the coronary arteries. It can also estimate the degree of obstruction. Based on these findings, your cardiologist will advise you further on the subsequent management. Sometimes, the presence of excessive calcium or certain stents in the arteries may interfere with the proper interpretation of the scans and hence reduce its accuracy. Does a negative scan mean that I am free from Coronary Arterial Disease? Having a normal scan is an excellent result. The negative predictive value of a 128-slice MDCT Coronary Angiography is about 99-100%. This means that if the scan result is normal, the likelihood of this being true is nearly 100%.